We have decided to get a new puppy to fill the gap left by our lovely Zoe who died two weeks ago. 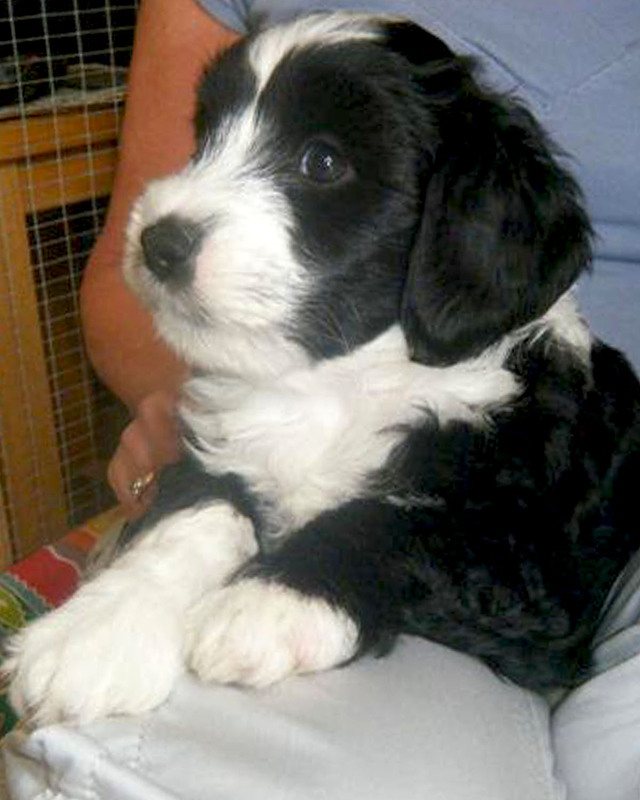 We are so happy that we are going to welcome Teddie, our utterly beautiful Tibetan Terrier pup next week. Here's a sneaky picture of him...I hope his mummy doesn't mind me showing him off! maybe you're looking into your new mum's blog - and I can tell you, that you're going to have a wonderful new home, the best you could have! And there will be lots of bears, maybe you can even help out your new mum a bit :-) You look absolutely wonderful, and I hope that we'll get lots and lots of updates about you!! We simply can't wait....isn't it funny how such a small creature can make your heart feel big!! He is so sweet ,he will bring love and comfort!